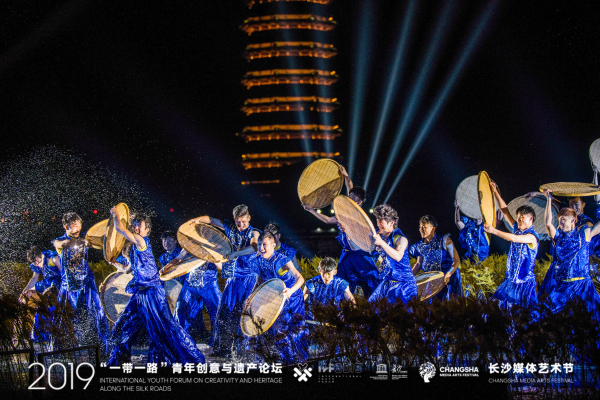 The Third International Youth Forum on Creativity and Heritage along the Silk Roads (IYF3) kicked off on Saturday evening, and Changsha, the capital city of central China's Hunan province, gathered youth from around the world to discuss creativity and heritage protection. The theme of their discussion was "Youth Creativity and Innovation in the Age of Media Arts." A total of 124 youth delegates from 85 countries participated in the IYF3. In addition to the Chinese participants, other delegates invited were from countries along the terrestrial and maritime Silk Road, including countries in the Middle East, Asia Pacific, Europe, Latin America, the Caribbean and Africa. As a joint initiative between UNESCO and the Chinese National Commission for UNESCO, the forum also welcomed UNESCO staff and ambassadors to China for the event. According to Marielza Oliveira, director of UNESCO's Beijing Office, the opening ceremony of the IYF3 was the largest session ever in the history of the forum. She also stressed that the IYF is not a youth forum of traditional type. "The youth will not be told here that 'you are the future and we will empower you'; the starting point is a real belief that the youth are already changing the world now," she said. Joseph Koams Pupe Sichangwa from Zambia is one such youth and now a second-time participant to the forum. The 27-year-old artist is now working with United Nations agencies in his home country to support and empower young people in communities. According to him, the event brings together youth from different continents, diverse cultural backgrounds, ideas, principles and values, as well as the ambition of building a better and more prosperous future for all. "As the youth grow more confident with being in the driver's seat, there will be more creativity and more innovation in terms of cultural heritage as well as in other areas. This will prepare the world for a more prosperous and sustainable future," he said. 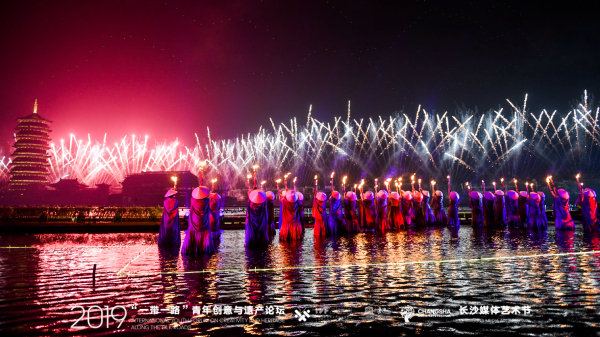 At the opening ceremony held at the Tongguan Kiln Town, the participants enjoyed a creative pyrotechnic light show, which is a key feature of the city. In the day, they also enjoyed hands-on sessions of traditional pottery making. The Tongguan Kiln, also known as the Changsha Kiln, has over 1,200 years of history, and was one of the three largest kilns that made pottery for export during ancient China's Tang Dynasty (AD618--AD907). Among all the porcelain ware that was rescued from the Belitung shipwreck in 1998, a total of 56,500 items were from the Tongguan Kiln. 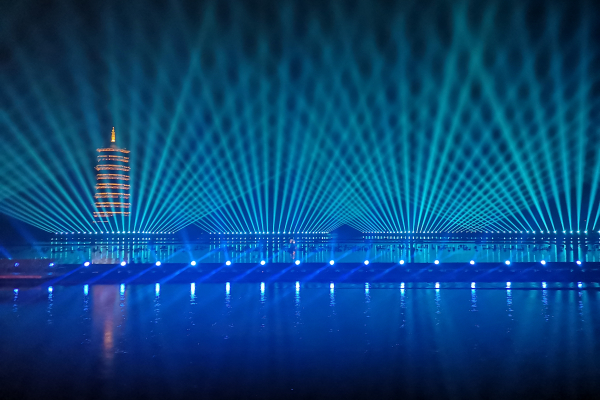 Thanks to its long history and rich cultural resources, Changsha became the first Chinese city to be recognized as a UNESCO Creative City in media arts in 2017. 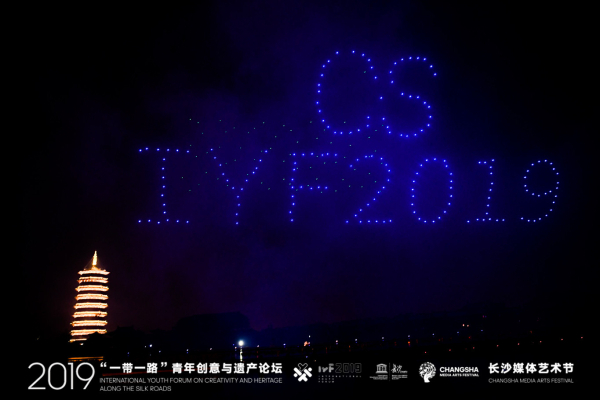 The IYF3 will last four days before continuing on to Nanjing city in Jiangsu province until April 7. During the next few days in Changsha, participants will hold various discussions, attend a high-level forum and a creative workshop, visit a representative media arts space in Changsha, and celebrate a Caribbean Film Festival. After the IYF3, a total of 10 young artists who attended the forum will participate in the "Experience Changsha" Young Artists Residency Program for nearly a month. Youth from around the world gather in Changsha city in China's Hunan province to discuss creativity and heritage protection as part of the Third International Youth Forum on Creativity and Heritage along the Silk Roads.